The Islam Awareness Blog: What can Andalusia teach us about living together? There were two distinct Muslim responses which emerged from that time and would cast their shadows on the present. Both Jalaluddin Rumi and Ibn Taymiyyah lived at the time of the destruction of the Arab world. Rumi was alive when Baghdad was sacked. Ibn Taymiyyah was born five years after its destruction. The impact of that time is clear in the way these two looked at the world. 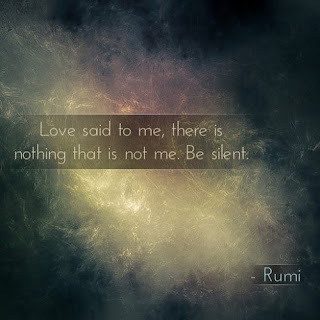 Rumi responded by consciously rejecting barriers and differences between people and reaching out to everyone with love. Ibn Taymiyyah responded in exactly the opposite way by underlining the threat to Islam and advocating for the drawing of rigid boundaries around the faith. He famously issued a fatwa against the Mongol rulers, even those who claimed to have converted to Islam because they did not adhere strictly to the sharia. He declared a jihad against them which was compulsory for all Muslims. The notion of Islam in danger may be traced to Ibn Taymiyyah. Both men continue to influence Muslim thinking in our time. Mystics throughout the world are inspired by Rumi, groups like the Wahhabis and the Salafis draw their inspiration from Ibn Taymiyyah.